I've had Magnum Contact Sheets for a few years now but revisited it recently. Weirdly, I feel it inspired me more the 2nd time around. Maybe it was that as a photographer, your taste and style evolve (that's the plan anyway!!) so photos can have a vastly different affect on you as time goes by. Photos that you loved in the past can lose their impact or conversely, photos that didn't make a dent in your consciousness suddenly bowl you over. With regard to Magnum Contact Sheets, it was the latter. So thumbing the pages again, this blog will discuss 4 'take aways' I've taken from this behemoth of a book. In my opinion, a photographer's role is to tell a visual story. Every photo in Magnum Contact Sheets draws you into the photographer's world demanding you ask questions of the scene and situation. Some of the photos describe whole events in just one shot. A moment captured in hundredths of a second yet being shown and discussed for years and years later. That's a photographer's dream right there! When seeing exceptional photographs it's tempting to think that photographers just rock up at a scene, shoot a winner and move on. In Magnum Contact Sheets, it shows the whole process of taking the chosen photo. Often you'll see that the photographer has taken 30-50 shots working the scene. This is a great lesson for photographers. If you see something that interests you, work the scene and try different combinations of compositions, angles and points of view in order to get the best possible photo. Looking through the book, it's possible to criticise the technical aspect of certain photos. Out of focus subjects, sloppy framing and poor exposures all crop up time after time. However, a world class photo should contain 2 things-a story and emotion. If you can engage the viewer and bring them in to your world, technical perfection is of secondary importance. Every photo in the book is accompanied with a story that discusses the image. A recurring theme through Magnum Contact Sheets is the photographer explaining the long term projects they shot. If you're spending a large amount of time on a subject, you increase the chances of going really deep with content. From here, the understanding you have and the relationships you build translate to constructing a top portfolio. Photography is about story telling. To tell the best story possible give yourself time and throw yourself into something that interests you- you'll be amazed at the images you can produce. 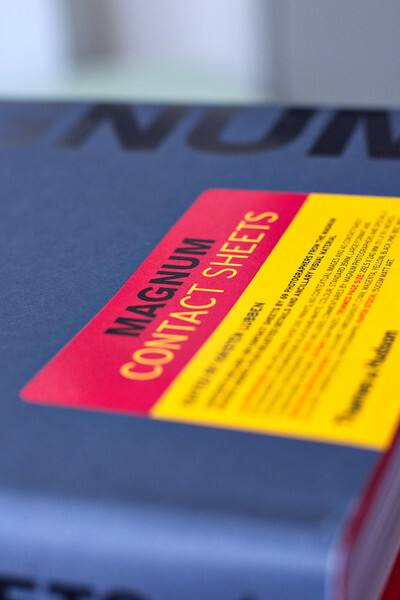 I would recommended Magnum Contact Sheets to every single photographer out there. The photos in the book are genuinely world class and if reflected on, provide a opportunity to improve your craft. For the reasons above, I intend to lean on this book time and time again over my photography career.